Do you have a proven game plan to grow your business? Can you execute as planned? GamePlanX (GPX) simplifies complex endeavors to modernize your business. We offer experts and tools to formulate a well-thought-out plan. We then support execution with powerful IT and Artificial Intelligence (AI) solutions, "Moneyball" predictive analytics and access to 72 international markets to grow your business. GPX makes it feasible to access proven expertise and adopt leading technologies, such as Cloud ITaaS and AI to visualize buying patterns, deliver highly targeted marketing and dramatically improve sales. Get data automation with APIs to harvest information hidden away in large databases, emails, social media, blogs and even Video files to automate manual processes, improve compliance, customer services, and sales training. Our unique Game Plan Breakdown gets a panel of world renowned, "celebrity" PhDs, MDs, C-Level or Technology experts to endorse your plan in a day, similar to how a panel of players and coaches tear apart the performance of a sports team on game day. GPX offers ready-made and custom solutions. If you have resource constraints, we can execute for you at a price that beats competing bids. Simply register with www.GamePlanX.com to get started on executing any of your plans. SWOT Analysis - Evaluate business capabilities, rate ability to execute. Generate Hot Leads - Research and identify target markets, define customer profile. Predict Demand - Understand competitive landscape, market positioning. 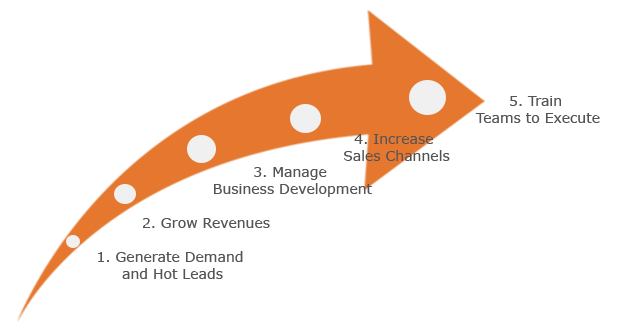 Improve Pricing - Visualize buying patterns, refine sales offerings. Formulate Plan - Execute branding, messaging, digital marketing, sales. Build Business Case - Justify value proposition and financial model to fund a new campaign. Generate Demand and Hot Leads - with digital marketing, social media engagement, SEO optimization and email campaigns. Offer sales discounts and rewards points with Mobile Web and Apps. Grow Revenues - target hot leads and close sales, execute fundraising and Fortune 1000 sponsorship campaigns. Manage Business Development - research opportunities, lead generation, capture management, proposal development and submission. Increase Sales Channels - enter new markets with representation in US, BRICS and 72 countries. Sell to millions of professional sports fans with a fan engagement platform linked to an ecommerce marketplace and apps. Train and Manage Teams to Execute - get multi-location teams to execute campaigns, conferences and more. GPX Ready-Made Solution: We will first setup a proven process, project plan, project related document and knowledge management. We then register and train all your team members to execute the process as planned. Save time and cost from having to setup, manage and support IT infrastructure for a secured Intranet, Document, Knowledge, and Conference Management, Multi location team collaboration and Training. GPX Custom Solutions: : If you have budget or resource constrains let us know your requirements and we will get our experts to execute your vision by applying proven processes with comprehensive SDLC best practices to design, develop, market, sell and support your campaigns at a budget you can afford. Free up your busy workforce from having to take on more work. Save time, effort and costs from having to spread out scarce resources to expand and support more IT infrastructure, applications, secured intranet, document/knowledge, and conference management for multi-location team training and collaboration. Call: +1 202 251-8941 or Email: eConcierge@GamePlanX.com if you have questions or to request a demonstration. No more wasting time trying to figure out how to use social media to get new customers. No more endless committee meetings just to figure out how to reinvent the wheel to find new sponsors or donors. No more delays getting started just to engage an expert. Save limited resources and costs from having to setup an infrastructure for a Secure Intranet, Document Management, Big Data Analytics, to Training multi-location teams or to Coordinate with supply chain partners to execute campaigns. BOTAFOGO, one of FIFA's 12 biggest football clubs of the 20th century, retained GamePlanX to grow revenues from new international markets. GPX applied analytics, experts and best practices from the professional sports industry to formulate a plan to grow international revenues by $5 to 15 MM. The plan included expanding brand presence internationally and presenting a high ROI business case to enlist new sponsors, investors and vendors. Global companies, such as Coke, Wendy's, Prudential, Uber and Airbnb were presented with a unique opportunity to promote their brand and grow sales in Brazil and a 100 FIFA markets. The GPX solutions enables the activation of sponsorship dollars put towards the naming rights of the Rio 2016 Olympic Stadium, towards accelerating sponsor sales with mobile ecommerce apps and fan engagement platform that expands outreach to 100+ countries, converts 4 million captive fans and 30 million viewers into paying customers. The American College of Cardiology was seeking a solution to grow revenues from international markets. Working directly with the CEO and International Advisory Board, we applied digital content distribution and syndication to grow international sales from $100K to $1.2 MM in 1 year and $5MM over 3 years. We formulated new print, multimedia live and online training programs that resulted in increasing net margins by over 300%. Our marketing and outreach campaigns increased adoption of e-learning portals by 400% and $2MM in syndication revenues. We restructured content distribution and syndication sales with new agreements and representation to expand the sales network to over 72 countries, including the BRICS markets. The CEO of Temoca Technology engaged GamePlanX to assess, plan and execute her vision for an easy to use nutrition tracking Smart Phone App on a very limited budget. The GPX group of business strategy specialists began the project by assessing the Business Case to justify moving forward with the venture. The specialists then connected statistical surveying, market and competitor analysis with our demonstrated techniques to build a detailed Business Plan and Budget for developing and promoting the nutrition app for global adoption. The team also applied Big Data Analytics and market research to formulate suitable branding, Keyword analysis, SEO (Search Engagement Optimization), Social Media Engagement, and market launch strategy. The GPX team of technology experts integrated the business, branding and marketing strategies with Software Development Life Cycle (SDLC) processes to design and develop the Careot iPhone and Android Smart Phone Apps and supporting Website www.Careot.net. We applied iterative rapid application prototyping to design a well thought out and easy to use interface for an exceptionally complex application. The final product was an app that makes it simple to utilize a daily nutrition tracker and meal journal that provides access to over 7000 food items and 46 Nutrients for efficient diet management. Our analytical tools help us plan and drive sponsorship sales, digital marketing, blog content development for social media engagement towards targeted communities that resulted in adoption of the app by 1000s of users worldwide. The GPX framework, supported by our technology platform enabled high-performance teamwork for efficient software development. The GPX project and team collaboration platform made it easy for teams and stakeholders located in different international locations to work efficiently towards delivering project life cycle deliverables. The professional sports industry was seeking advanced solutions for player and team development to help athletes transition successfully from college to professional sports and then into post sports retirement careers. The GPX team successfully designed player and team development solutions for skills training, mentoring, career development, health and wellness services for teams and athletes from NFL, NCAA, and FIFA. The programs were integrated with the GPX team collaboration platform for 24X7 access via online and mobile phones. The management of StampFinder.com needed help with modernizing their website into a B2C and B2B Marketplace to drive more revenues at an affordable budget. GPX performed detailed assessment of a legacy Cold Fusion ecommerce website and then developed a plan, design and prototype to modernize the legacy website into a well thought out B2B and B2C Marketplace equipped with advanced ecommerce functionality and mobile phone responsive design. The CEO of BarberDMEStore.com needed technical support to setup a modern ecommerce website at a low cost. The GPX team setup a well-designed ecommerce portal with a mobile phone responsive front end supported by backend API processes that automatically load and update over 10,000 McKesson Medical products. The backend application consists of a robust SQL Server Database infrastructure that incorporates XML, cXML, EDI and API processes for efficient end-to-end order fulfillment. The Global Leader for the CCB.org, a leading worldwide community development organization, founded in 1802 was seeking support for fundraising and training to improve organization ability to better serve the poor. GPX engaged fundraising and developmental experts to apply industry best practices to formulate the business case, training and program support solutions. The programs were designed to be powered by leading edge technologies to support the growth and operational support for communities and schools on six continents. The fundraising strategy, plans and solutions were required to serve more than 50,000 people in 16 countries through 58 projects, providing high quality education to over 13,000 children, healthcare to more 23,000 people, including holistic care to more than 400 HIV/AIDS orphans and at-risk children, access to physicians, prenatal care, and hygiene training. The developmental programs would also include the supply of clean water, supplemental nutrition programs, adult literacy classes, HIV/AIDS prevention, youth outreach programs to more than 7,000 children, business training with micro-finance programs, and Human rights advocacy to ensure marginalized people have a voice. GPX platform supports 365 Days of learning, networking and collaboration, enabling conference attendees to stay connected before, during and long after the event is over. An efficient solution for all conference stakeholders to stay connected until the next event. Bethesda Curry Kitchen engaged GamePlanX to develop a solution to grow sales. GPX applied Big Data Analytics on social media and sales data to identify target markets, customers, visualize buying patterns to propose new sales and price offerings. We then developed and launched mobile apps and web solutions to enable SMBs to offer easy reservation scheduling, ecommerce sales, loyalty programs, and social media marketing to increase sales by up to 75%. The solutions are designed for integration with SQL Server Databases to support small business operations and reduce operational costs by up to 50%. A benefactor for Kidsave.org engaged GamePlanX to find new sources and methods for fundraising. The GPX team applied Big Data analytics, fundraising experts and best practices research to conduct charitable donation market trend analysis, identify new target donor communities and formulate a creative fundraising plan. We then designed a fundraising campaign that targeted specific high net-worth individuals and fortune 500 donors to support the adoption of older children from marginalized communities. The GPX technical team deployed fundraising and event planning campaigns, supported by mobile websites and apps, for marketing outreach and collect donations. A benefactor for community development initiatives engaged GamePlanX to develop a solution to employ Veterans. GamePlanX applied development best practices and leading edge technology solutions to formulate the American Dream Program (ADP) to bring jobs back to America by engaging potential employers to actively sponsor and participate in the training and employment of Veterans. The training programs would apply state of the art mobile apps integrated with virtual reality and community based high performance team training to speed up learning and execution of complex jobs. The same program was modified to train and employ At Risk Youth, paving a path for them to achieve their American Dream and possibly reduce violence in inner cities. The Florida Secretary of State and PwC engaged us to propose a way to grow the economy for the city of Miami. We applied various international trade development best practices and market research to originate a $20MM plan to establish the Digital Hemisphere for North and South American continents. The plan included transforming Miami into an e-business hub and the capital for the Free Trade Area of the Americas (FTAA). The plan was endorsed by the Speaker of the US House of Representatives and Florida Secretary of State. TAOH solutions was seeking a creative turnkey solution for multimedia marketing and sales solutions for retail malls. The GPX team conducted market research to determine the most effective marketing solutions for target audiences. We then designed and deployed interactive retail marketing and point of sales solutions using Apple iPad devices, mobile Wi-Fi services, and large scale interactive, 3-D multimedia content projection technologies to drive sales of consumer and fashion merchandise. The Supreme Education Council of Qatar was seeking support for assessment and plan to improve overall outcome and impact of their education programs. The GPX team researched international best practices to apply leading edge technologies, such as Big Data Analytics to identify problem areas needing improvement and Virtual Reality Mobile learning apps to accelerate K-12, College, Vocational and Lifelong learning for all citizen and residents. We developed program models to facilitate high performance learning for underperforming and underprivileged students by integrating sports training and motivational mentoring from professional athletes and business leaders. MRU Advisory Services, based out of Rio De Janeiro, Brazil, was seeking a creative and low cost solutions to enter new international markets to grow revenues. MRU engaged GamePlanX to research and identify new avenues for growth in the USA. GPX provided market research, strategy formulation, new business registration, physical office setup, and business representation services for MRU. GPX is responsible for applying analytics to identify hot leads, setup online collaboration and multi-location teamwork between MRU USA and Brazil offices, develop digital marketing, business development, lead generation, proposal development, and sales for MRU. Holder Enterprises, engaged GamePlanX to grow revenues. GPX provided strategic planning, brand formulation, messaging and website redesign to position the company for high revenue growth opportunities. We then managed and supported all stages of business development, capture management and proposal development to enable the business to win and support multi-million dollar contracts for federal, state and local governments. We integrated best practice based processes with the GPX team and project collaboration platform to enable client teams to grow organization capabilities so they could expand proposal bids from a few hundred thousand dollars to over $18 MM within 3 months of engaging GPX. We also successfully facilitated business development for other 8(a)-small business government consulting firms, helping them present high value capabilities, such as Scientific Computing, Pharmaceutical Drug Global Supply Chain Management, Biotech Commercialization and Business Process Management services sales to the DOJ, FDA, NIH, HHS, MHS, and DOD. Team Culture Eats Strategy For Breakfast!